Denpasar in Bali has long been equated with an exotic paradise, a picturesque vision of green rice fields and plantations, soaring volcanoes, cool lakes and rushing rivers, lush forests and palm fringed beaches. The original charm of the 'Island of the Gods' & its smiling people is still very much in evidence, especially in the many rural villages. 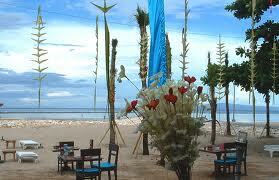 The city of Denpasar is Bali’s capital. Over the past 20 years, Denpasar has played a big role in the growth and prosperity of Bali which is a huge draw to visitors from all over the world. Denpasar can be very noisy and polluted but it is possible to escape the crowds and enjoy the tranquil gardens, museums and colourful arts centre. Bali’s main international airport is situated in Denpasar. There are no direct flights to Denpasar, Indonesia from the UK however there is a great choice of airlines flying to Denpasar including Malaysia Airlines, Singapore Airlines, Cathay Pacific and Thai Airways. If you’re after low cost flights to Denpasar, Indonesia, Malaysian low cost airline Air Asia operate services via Kuala Lumpur. With a literal meaning of ‘next to the market’, Denpasar is home to a huge and bustling market called Pasar Badung as well as lots of other interesting and unique shops. Head to the Pura Jagatnatha temple and marvel at its stunning palatial architecture. The temple is dedicated to Sang HyangWidi, Bali’s Supreme God and is now a museum with interesting exhibitions and a great collection of modern art. For a taste of the rich variety of Balinese arts and crafts, it is well worth visiting the Taman Wedhi Budaya art centre which is home to a fascinating selection of crafts, paintings and carvings. The centre hosts the annual Arts Festival during the months of June and July and traditional Balinese dances are held every evening. 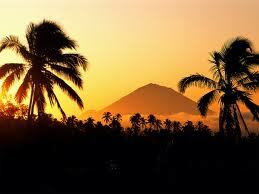 Keep an eye out for our flight partners special offers for the cheapest flights to Denpasar, Indonesia. Our flight comparison search checks for the best value fares on cheap flights to Denpasar, Indonesia whether you are booking in advance or looking for lastminute flights to Denpasar, Indonesia. Avoid travelling during peak times of the year such as the summer holidays or Christmas to have your pick of the very best deals around. Lying just south of the equator, Denpasar has a tropical monsoon climate with two distinct seasons: wet (November to March) and dry (April to October). The dry season has hotter temperatures, but the humidity levels are much higher during the rainy season. The height of the summer season also brings cool breezes to temper the hot weather. The average annual temperature is about 86F (30C).